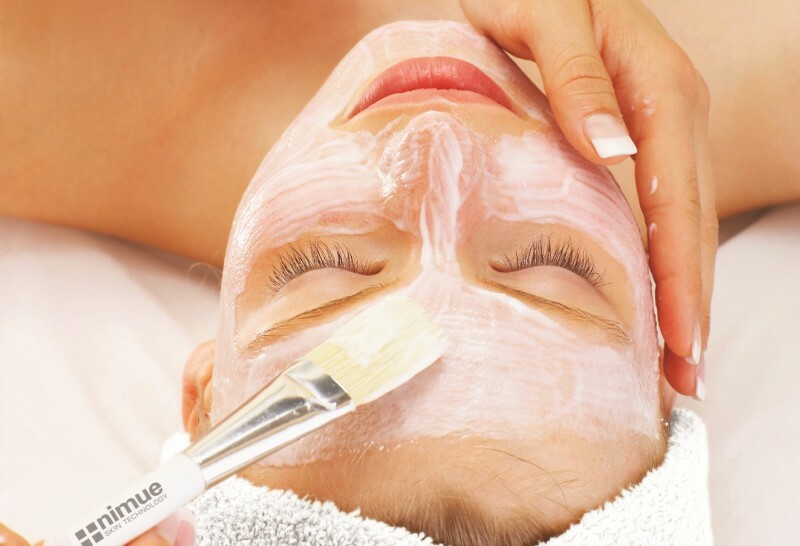 With our variety of South African and International Skin Care brands which include Nimue, RégimA, TheraVine and Guinot we offer many treatment options ranging from relaxing facials to skin peels specially customized to target your specific skin care concerns. Environmentally damaged – Premature ageing or photo ageing resulting from a history of cumulative exposure to environmental factors. Hyperpigmented – Skin that presents an uneven skin colour influenced by internal and external factors. Multiple award winning, RégimA’s status is cemented as a skin care leader in the world market. Ensuring actives are used at maximum efficacy, RégimA is a cosmeceutical that focusing not only on aesthetics but skin health as well. TheraVine is a scientifically advanced range of result-driven health and skincare products. Active ingredients, grape derivatives and botanical extracts are fused to formulate skin care that gives you perfectly balanced and radiant skin. The TheraVine range incorporates natural botanicals and follows an environmentally friendly approach to health and skin care. Products do not contain any harmful petrochemicals, fragrances or colorants and have not been tested on animals. Raw materials and end-products have never been tested on animals either. The embodiment of science and opulence. Based on TheraVine’s breakthrough anti-oxidant technology, the UltraVine Advance anti-ageing concept promotes the skin’s DNA repair system while luxuriously soft and delicately scented creams, serums and balms transport your skin to an advanced state of renewal and serenity. The anti-ageing jewel, a collagen film mask embedded with pure, soft 24K gold and sparkling diamond dust coupled with a concentrated serum infused with super-charged actives, will visibly tone, polish and brighten the skin leaving it glowing with illumination. Guinot offers many treatment options such as the Hydradermie treatment which is recognized internationally as one of the most technologically and revolutionary advanced skin care treatments, the treatment increases radiance, deep cleanses and moisturizes the skin. The Hydradermie Lift is where electrodes reduce tension and improve circulation, as well as stimulating drainage and improving muscle tone. It’s a great option for anyone who wants a bit of a lift but doesn’t want to go down the surgery or Botox route! Massage therapy helps to treat not only the body but can enhance your emotional well-being through the release of serotonin which helps to regulate anxiety, happiness, and mood. Whether you are just looking to escape and relax, work out those tension knots or get some relief from chronic pain, we can offer you a range of treatments from hot stone massage to reflexology and aromatherapy massage. Goodbye mascara, hello lash extensions. Eyelash extensions are synthetic hairs that are bonded directly onto existing natural eyelashes. Each natural lash is isolated before the extension is applied, to ensure that the health of the natural eyelash is maintained. There is a wide variety of lengths, curls and thicknesses to custom design a set of lashes for each client. 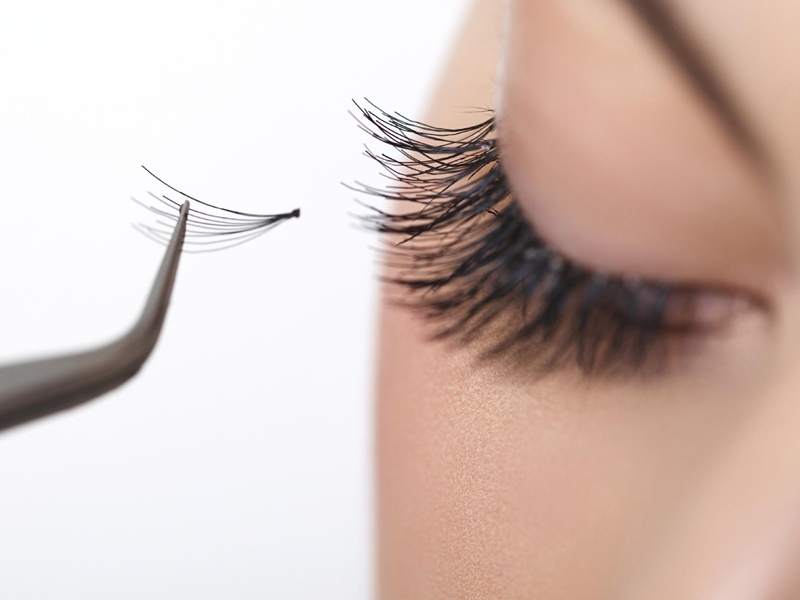 Eyelash extensions will last 3-4 weeks before a touch-up appointment is needed. When applied correctly, eyelash extensions can be worn long-term without any damage to the natural lashes. A method where one lash extension is glued to one natural lash. Classic lashes are perfect for clients who already have a lot of lashes but want to add more length. When multiple lashes are applied to one single natural eyelash individually isolating one natural eyelash at a time, using very thin lashes. If two eyelash extensions are applied to one natural lash it’s described as 2D, if three eyelash extensions are applied to one natural eyelash then it’s described as 3D, and so on. What is a lash lift? It’s like a perm (but without chemicals) for your natural eyelashes. It uplifts and curls them from the base of the lash, making them stand out and look longer. We pair the lash lift with an eyelash tint, to enhance the defining effect. Unlike the old school lash perm, new technology silicone shields and cream-based lotions are used to lift and nourish the lashes from the root, creating naturally enhanced and lifted lashes. It’s is an ideal treatment for those who do not want the maintenance and upkeep of lash extensions and would prefer a more natural look. If you want a more dramatic look you can still add mascara. A lash lift is simple and inexpensive and lasts up to 8 weeks. Whether you just want to overlay your natural nail or extend the length with our gel and acrylic systems, from a simple French paint to the most current/modern funky nail art systems and plenty of colours to choose from, we offer it all. Mycro Keratin is the future of hair smoothing treatments. We know you love your hair and want to treat it right, but with constant colour and heat treatments it can become dry and damaged! Using Mycro Keratin Treatment will restore strength, shine and smoothness while eliminating unwanted frizz and maintaining the hair’s natural volume. Your styling time will be cut in half, as Mycro Keratin makes it possible for you to wash and finger-dry your hair with amazing results. Results last up to 6 months. Brasil Cacau is the exclusive choice of top hair designers from around the world and is asked for by name from celebrities all over the world. Brasil Cacau pioneered the smoothing treatment without the use of chemicals and removes 95% of frizz or curl on natural or chemically treated hair. 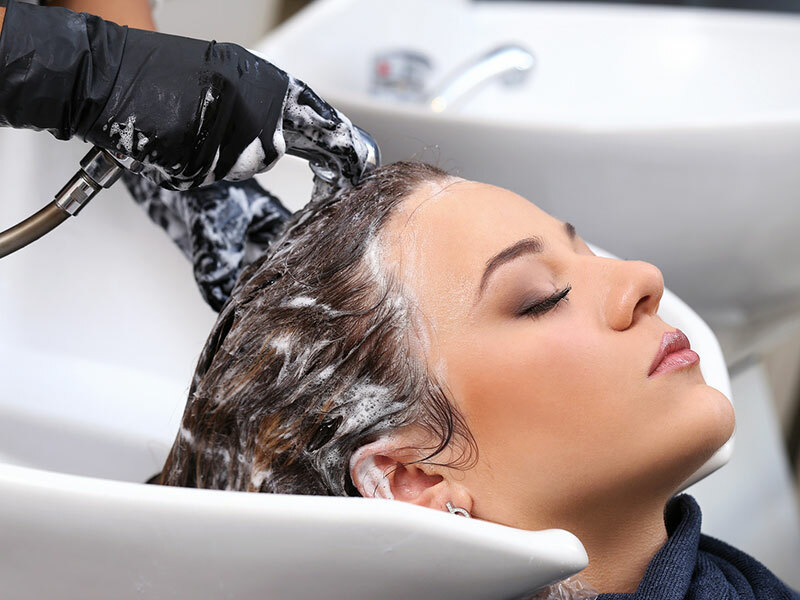 It effectively rebuilds hair that has been damaged by excessive chemical services. The end result is straighter, smoother, incredibly shinier, stronger, frizz free hair which is more manageable and humidity resistant. Results last up to 3 to 4 months. Olaplex repairs damaged hair back to health, and no other product on the market does this. From perms and relaxers to toners, bleaches and glosses, Olaplex protects your hair from damage caused by ALL chemicals, colours and lighteners – no matter the brand, make or type of product. Olaplex NO.1 and NO.2 are only available for professional use in the salon and to be applied by your hairdresser. However, Olaplex NO.3 contains the same active ingredient as the professional products and is designed to be used by you at home. 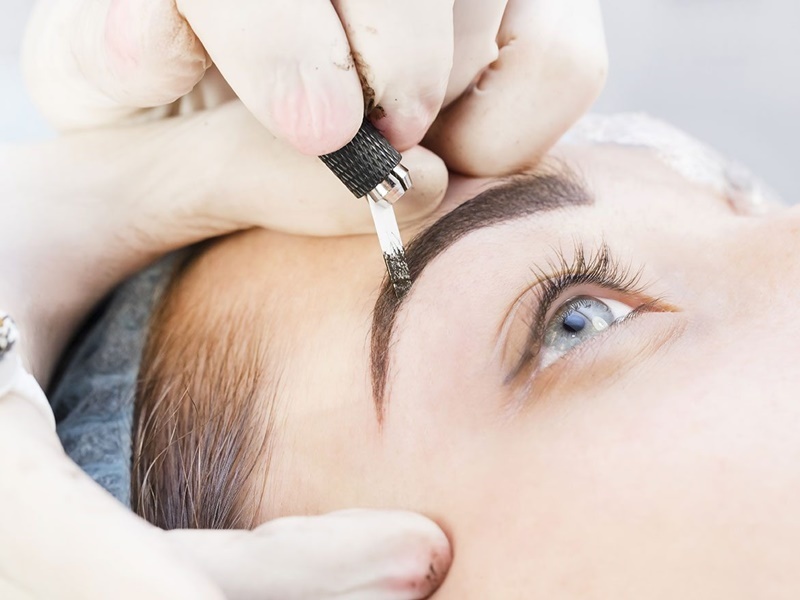 Permanent makeup (PMU) is a cosmetic technique which employs tattoos as a means of producing designs that resemble makeup, such as eyeliner and other permanent enhancing colours to the skin of the face, lips, and eyelids. Permanent makeup allows you to subtly give features shape and definition to enhance natural beauty. PMU is also very suitable for people with allergies to regular makeup, contact lens wearers with sensitive eyes, people with glasses or people who are active in sports. The possibilities are endless! Permanent eyeliner is the basic colour placement on the upper and lower eyelids. These lines can either be very natural looking by being done in-between the lashes only, giving them a fuller look (lash line enhancement) or a thicker line can be achieved by going in-between the lashes as well as just outside of them to create a line which is done to the thickness of your choice. This is a newer trend where we can define the lips a lot more and give them a prettier tone overall, it also gives them a more plump and fuller look. There are many colours to choose from but once healed they come out in very natural, beautiful shades. Most colours last 3 to 5 years, although some may not fade for up to 10 years. Periodic touch ups are needed to maintain the desired look. Microblading is a form of permanent makeup and is a relatively new technique of enhancing the appearance of eyebrows. Using a hand tool and ultra-thin blade, a natural pigment is deposited into the upper dermal layer of the skin, making it semi-permanent for 1-2 years, depending on the skin type and lifestyle. This technique will result in thin and defined hair-strokes. Microshading the eyebrows is very similar to microblading but instead of hair like strokes, a fuller and softer effect is created. This technique creates a soft powdered effect that resembles eyebrow pencil or powder.